Gordon Hayward had been playing like a bottom-of-the-rotation man prior to Tuesday. He looked like a Sixth Man of the Year against the Warriors. The Celtics forward delivered 30 points and seven rebounds in 27 minutes off the bench, helping to spur Boston to a 128-95 rout of Golden State in Oakland, Calif. The loss was the Warriors’ worst of the season. Hayward scored more points Tuesday than he had in his first five games after the All-Star break combined (26). Boston was 1-4 in those games. Two of the points against the Warriors came on a fast-break dunk after a steal in the third quarter as the Celts were wrapping up the contest. Hayward finished 12 for 16 from the floor against the reigning champs; in his five previous games, he was 8 for 26 from the field. He’ll try to keep the momentum going Wednesday when the Celtics play the Kings in Sacramento. 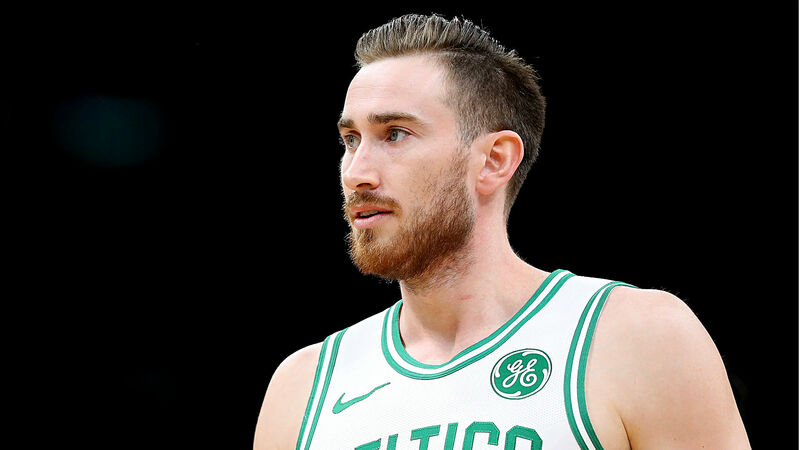 Boston will need this Hayward during the final month-plus of the regular season and the NBA playoffs. The Celts are in a battle for home-court advantage in at least the first round; they’re fifth in the Eastern Conference, 2 1/2 games behind the fourth-place 76ers.